Have you ever had a big question that you want answers to, and no matter how much you try to rationalise and analyse the options with your mind, you just can’t get the clarity you need? Well, you’re not alone. In fact, in our modern western civilisation, the majority of us spend most of our time ‘thinking’ with our brain. And yet, our brains are only one part of an entire world of intelligence that we have access to. 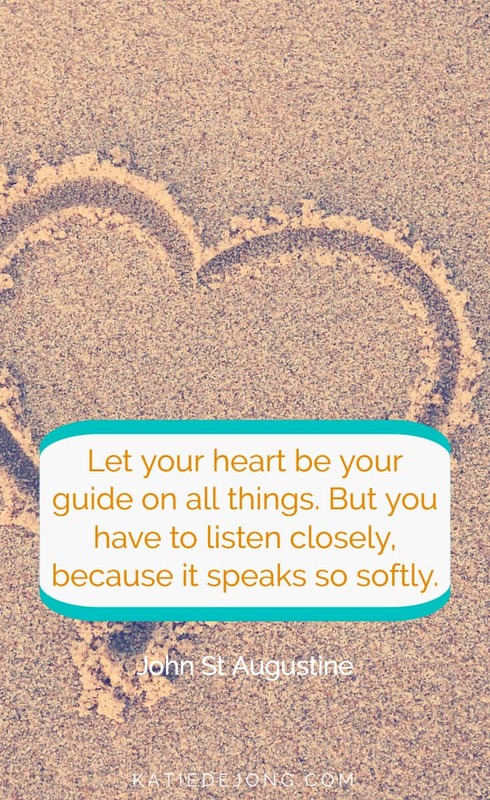 And when all your good friends tell you to “Follow your heart” or “Listen to your heart” during times of confusion, it turns out there’s more truth and substance to this advice than just well-wishing friendship. And mBraining is not the only organisation that researches and talks about the three different intelligence centres. Other organisations like The Omega Institute, HeartMath, and The Shift Network, and great leaders who bridge science and spirituality like Gregg Braden and Deepak Chopra ,have long been talking about the untapped power available to you when you integrate your three intelligence centres. I call the integration of your three intelligence centres, and the wisdom that emerges from it, your inner compass. And you can access your inner compass by connecting to your heart, using very specific steps that I’m about to show you. The human heart has approximately 40,000 neural cells. This means the heart has its own nervous system, which actually sends more information to the brain, than the brain sends to the heart! From an electromagnetic perspective, the heart’s electromagnetic field is 5,000 times more powerful than the brain’s. Our heart’s electromagnetic field expands and touches those within 2 – 8 metres of where we are positioned! 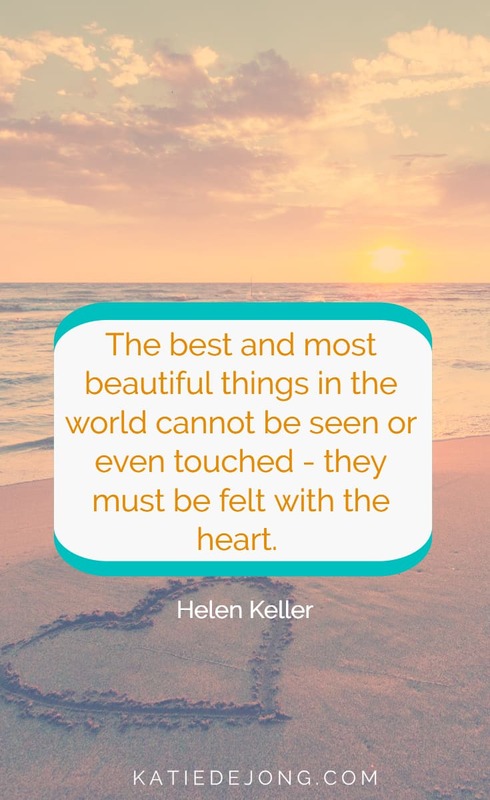 When fully embodied and integrated, your Heart Intelligence gives you the ability to be fully real, present, connected and heart-directed in every area of your life so that you can experience greater levels of performance, creativity, intuition and higher order thinking. So it’s no wonder that you can’t solve big life questions simply through using your logical ‘head’ brain. To get true clarity, you need to integrate the intelligence from all three intelligence centres – head, heart, and gut. In fact, this is what the now famous mBraining modality is all about. 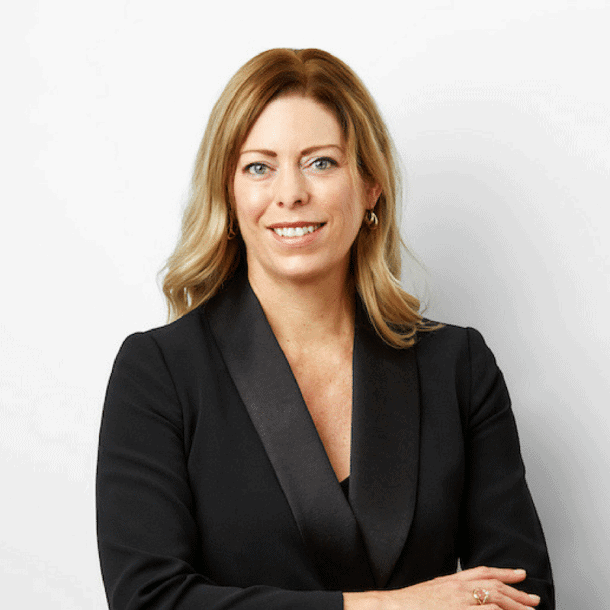 Grounded in verified scientific research, Australian psychologists Grant Soosalu and Marvin Oka developed the mBIT coaching philosophy (Multiple Brain Integration Techniques), which is comprised of a suite of tools and techniques for communicating with, integrating and harnessing the power of your three intelligence centres which, when working together, produce amazing results. Today there are thousands of mBIT coaches in over 32 countries worldwide, helping people integrate their three intelligence centres to improve their lives. 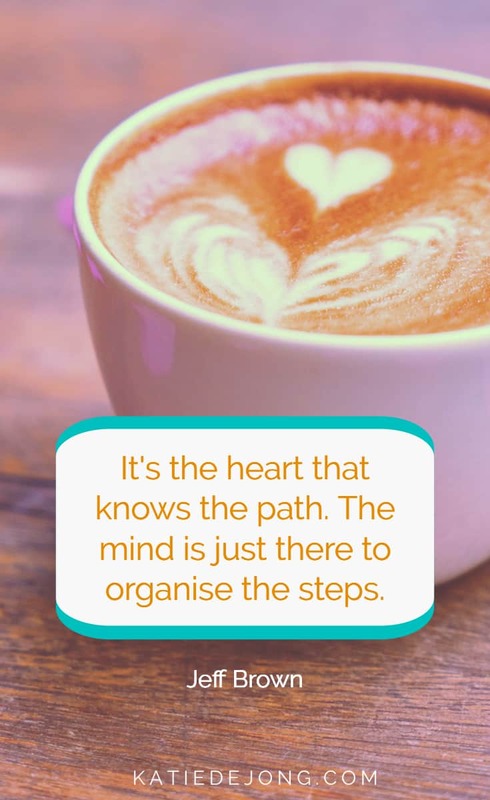 And other organisations like the HeartMath Institute are passionate about harnessing the heart’s intelligence and have made breakthroughs in the development of user-friendly technology that you can use with your smartphone to harmonise the communication between your three intelligence centres. HeartMath has a raving fan base with thousands of great testimonials and results, endorsements from high-profile leaders leaders in the personal development space, and over 8,000 certified HeartMath practitioners worldwide. It’s clear that our heart has an intelligence that can be accessed in order to make strategic decisions that help us live happier lives. And if we’re only using our ‘head brains’, we’re missing out on a vast source of wisdom. And that’s when we end up feeling stuck and confused. And she was right. But I was so disconnected from myself that I had no idea how to go about accessing my own inner answers. 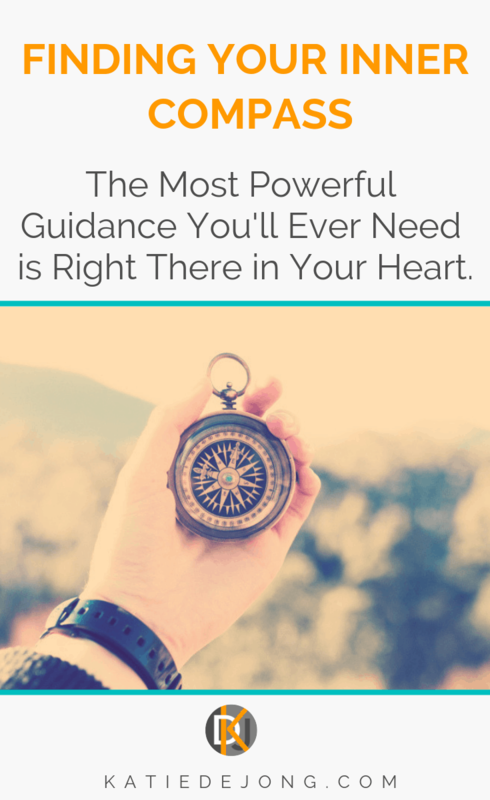 I had to go through a long process of slowly reconnecting to myself and my truth before I was able to start listening to – and receive guidance from – my own inner compass. Your inner compass is your true essence; the part of you that is all-knowing, all-powerful, creative, loving, and limitless – connected to the infinite part of you that come refer to as your ‘soul’. Your soul is not limited by fear, anxiety, or self-doubt. It knows the path of your fullest expression. Connecting with your inner compass and your soul brings you into alignment with your highest and most fully-expressed potential. If you’ve become disconnected from your own inner guidance, the good news is that you can reconnect to it – and most importantly, with time, learn to trust it. The more you practice connecting to your own inner guidance, the stronger the ‘knowing’ becomes and the more automatic and second-nature it becomes. It really is the only way to make good decisions. If you’re serious about accessing your inner compass, you need to create quiet, reflective spaces in your life. When life is busy and chaotic, you’re not able to hear the gentle guidance constantly coming from within, particularly if you’re not paying attention to the signs. 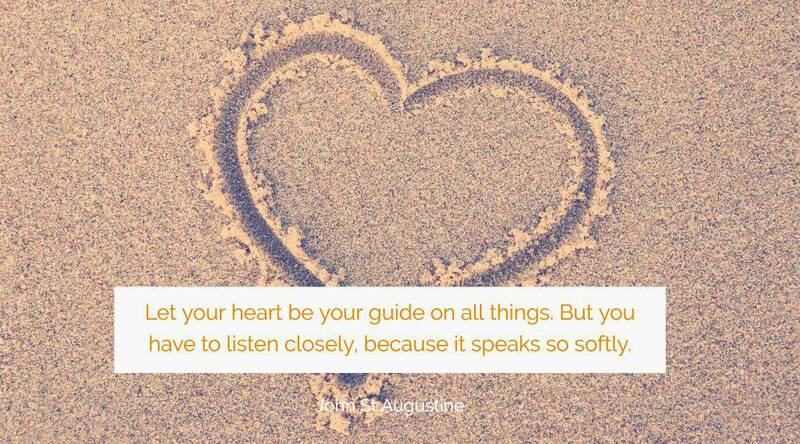 To hear your inner guidance, you need to have a specific intention to converse with it. And then you need to create enough space in your life to be in a receptive state, to receive its guidance. It speaks to you during those peaceful, contemplative moments when the hyperactive mind is quiet enough for it to be heard. An over-busy mind drowns out anything that your inner guidance might be trying to whisper to you. You need to get quiet and find ways to cultivate stillness inside. To access your inner compass, or heart’s intelligence, there are three strategies that are highly effective when used simultaneously. Bring your awareness and full attention to your chest area. Bring to mind a joyful experience and immerse yourself in positive emotions. The reason this works is because joyful memories allow you to vibrate at a high frequency, which is critical for accessing your higher knowing. Did You Know that Emotions Vibrate at Different Frequencies? Your energetic vibration can be measured, and your vibration rate (a.k.a. frequency) depends on the emotional state you’re in. It’s become a well-known fact in scientific and spiritual realms nowadays that we vibrate at different frequencies depending on our emotional state. 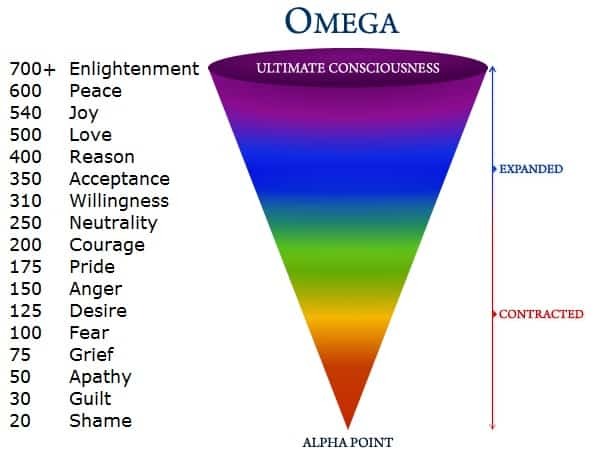 The frequency of different emotions has been measured, and scientists have developed the following guide to the frequency of emotions (the image below is from The Omega Institute). So as you can see, when you’re immersed in happy, peaceful or joyful memories or experiences, you vibrate at one of the highest rates possible. This creates a fast connection to your inner compass, because your higher guidance comes from your soul, which is firmly grounded in the realm of ‘enlightenment’ at 700+ Hz. Below I’m going to share with you the short meditative process that I use regularly to reconnect to my inner guidance. It takes less than ten minutes a day, and it works. If you’d like to try a guided meditation for this process, please be sure to download your ULTIMATE GUIDE TO LIVING YOUR TRUTH, which contains a free recorded version of this meditation inside. I give full credit to my mentor Gina Maria Mele who first introduced me to this specific process. It’s been my regular go-to practice to access my inner compass and to return to emotional well-being when I get knocked off-centre. 1. Sit quietly with your eyes closed (I prefer sitting because then you’re less likely to fall asleep!). Put your hands on your belly and take deep, slow breaths in through your nose, all the way down into your belly. Feel your hands move in and out as you breathe. Breathe as long as it takes to feel your body and mind relax. Keep focusing all your attention on the breath. 2. Bring your attention to your chest. Feel it rise and fall with each breath in and out. Do this until you can feel all your attention and awareness in your chest. Perhaps you can even feel your heart beating. 3. Think of a time in your life when you felt real joy, love, or happiness. Maybe it was while holding your puppy? Or your first kiss? Or holding your baby in your arms for the first time? Or when you finally visited a place you’ve always wanted to go? Perhaps you were with friends and felt a moment of spontaneous fun and laughter. Think of any experience that invokes strong feelings of joy and love. 4. Now take yourself back into that experience and really re-live it in your mind. Remember how it felt, how it sounded, how it looked, how it smelt. Really take yourself back there and feel all the feelings and sensations you felt in that moment. 5. As you sink into those feelings, imagine a big white light radiating outwards from your chest. 6. As you hold the happy memory in your thoughts, bring this white light all the way up to about a meter above your head. As you breathe deeply, now bring it down to about a metre below your feet and all around you, until you’re completely surrounded by a large bubble of white light. You may not be able to visualise this and instead just feel it (depending on your dominant sensory mode). 7. As you sit in the memory of your happy experience in your bubble of white light, bring your focus back to your chest and ask a question that you really want to know the answer to. For example, “What should I do in this situation?”, or What do I really want?” or “What is my unique gift to give to the world?”, or “What steps can I take right now that are in alignment with my highest truth?. Ask whatever question is most relevant to you right now. 8. Sit quietly and wait for any images, sounds or feelings to come to you. Don’t force anything, just sit quietly and listen in an open, receptive mode. If nothing comes, that’s OK too. It will come later. If your mind drifts, bring it gently back to your question and be open and receptive to any guidance. Sit in this state for as long as you need. Enjoy the experience. You have just connected with your heart. You just felt its energy. The act of connecting to feelings of joy, happiness, and love while focusing on the area around your chest is the fastest way I know to connect with your heart and receive its guidance. You might not always like the guidance you get. Maybe the guidance doesn’t fit within the picture of where your ego wants to go – the part of you that’s bound up in expectations of others, or the image you want to project to others. The guidance might push you out of your comfort zone and require you to stretch and grow in ways that feel uncomfortable. But your inner wisdom is never wrong. It will always strive to bring your outer world into alignment with your authentic desires, your personal truth, and your true priorities. If nothing comes during the meditation itself, rest assured that it will come to you in some way as you go about your business in the next few days or weeks. Pay attention to the signs and guidance you will begin to receive through synchronicity or ‘coincidence’ (there is no such thing as coincidence by the way). You may not notice anything different initially, but if you commit to doing this for 5-10 minutes every day, you’ll notice your life starting to shift in a subtle but very tangible way. You’ll start receiving insights seemingly out of nowhere. You’ll start feeling more optimistic, inspired and joyful. You may suddenly just feel a lot clearer about where you want to go. Or you may notice certain relationships are easier and less strained, and you may notice you feel more compassion. If you take the time to do this visualisation regularly, you’ll notice that you start feeling a gradual reconnection to your true essence and an emergence of real clarity. Take the time to slow down and hear your inner whispers. You won’t be disappointed.